An effectively maintained Air conditioner (AC) unit is less likely to get damages. Thus, we bring to you our best and experienced proffessionals for your ACs. Be it your Home or Office, Har Ghar Sewa provides every type of AC service at your doorstep. Air filter and fin cleaning is done. Then the technician will do AC condenser and evaporator coil cleaning. Drain cleaning and leakage check will be done. He will make sure if everything is in proper order, that there are not any cracks, clogs, deterioration, or safety hazards. The technician while installing the AC will make sure if AC is in proper condition and is running properly. Gas pressure/leakages will be checked thoroughly after installing. The technician will perform a prelimnary inspection of the AC(Split/Window) to know the problem or any damages to the AC. He will diagnose the damage in your AC on visitation and repair it. An Overall inspection of the AC unit will be done to ensure that no flaw is left in the end. 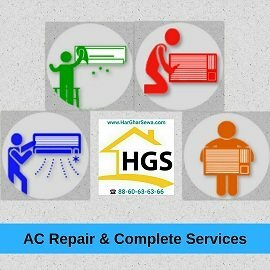 We offer city’s best possible AC servicing and repairing staff for maximum satisfaction of our customers at best possible rates. 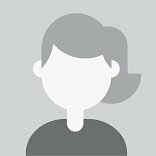 You get proffessional and experienced staff to provide you the service. To ensure that there are no frauds, our service providers will have an i-card of Har Ghar Sewa and a standard tool kit with them.